There’s something about spotting a leopard on safari that sets people’s pulses racing. It’s often men that fall passionately for this slinky cat (sorry boys! )- it’s the ultimate predator, perfectly designed for the silent stalk, the stealthy hunt and the efficient kill. It’s possible to spot leopards on safari all over Africa, but they’re notoriously elusive. Stories abound about leopards successfully disguising themselves, even amongst large human populations. Legend holds that when a lone leopard was spotted on Nairobi railway station, the storyteller was rubbished. 3 years later, the bones of a recently deceased leopardess was spotted under a rarely used platform… Well, so the story goes. For those who want more reliable leopard sightings there are a number of places to visit in Africa where a safari of two or three days should give you a very reliable chance of seeing a leopard. We’ve put some effort into personally checking these out, so do ask us if you have any questions. The AfriCat Foundation at Okonjima is utterly absorbing for anyone who’s ever been fascinated by the big cats. It’s important to stress- these cats aren’t wild. They’ve been collared and are closely monitored by the research team. This makes it possible to get up close to leopard (also cheetah and wild dog) in a way that’s just not possible elsewhere, and learn more about hands on research and conservation than you would in 10 safaris. I’ve had phenomenal sightings in the South Luangwa and a colleague who (though good at rather tall tales) claims to have spotted 7 leopard in one night drive. 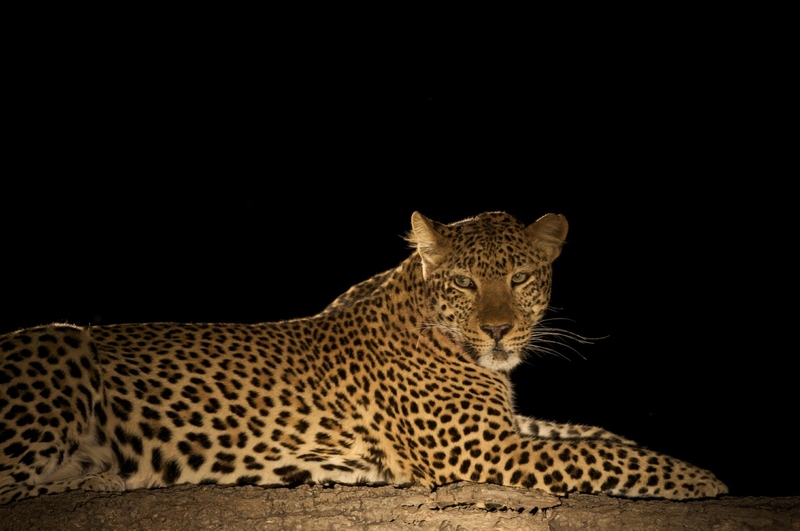 The leopard here are often spotted on night game drives with spotlights- this is the time of day when leopard are most active, as they’re on the hunt for fresh food. By day, look for the flicker of a tail up in the sausage trees, where leopards like to lounge on long flat branches. Without a shadow of a doubt, of all the places I’ve done safari in Africa (and there have been a few) the Sabi Sands has been by far and away the best place to spot leopards. I’ve tracked adults through the grasses at Lion Sands, watched leopards lounging in trees from Nottens, and most satisfyingly of all, clocked a spotted face stalking me through the reeds over breakfast at Singita Ebony. If you’re a leopard lover, go tomorrow, take my camera, and never look back. This entry was posted in Leopards, Namibia, Sabi Sands, South Luangwa. Bookmark the permalink.